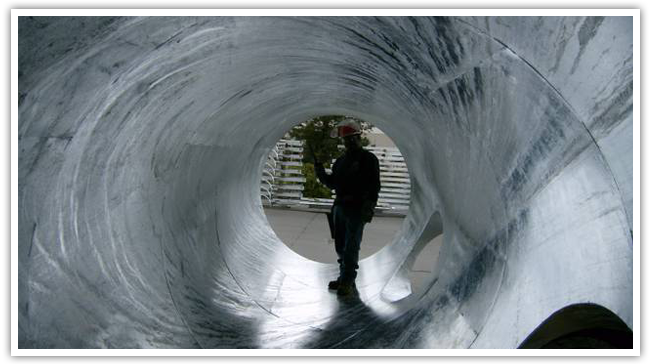 Since 1984 Moore Quality Galvanizing has provided superior quality and service. We pride ourselves on our quality by hand finishing the steel after galvanizing. This enables our customers to send finished product straight to the job site. Saving our customers valuable time and freight expense. We strictly adhere to ASTM A-123 specifications on all work and will certify to that when requested. Moore Quality Galvanizing is also concerned about the environment. That is why we only use High Grade Zinc with very low lead concentrations. High Grade Zinc contains approximately .002% lead. We are one of only a few galvanizers who galvanize with a low lead concentration. Moore Quality Galvanizing is located in Central California off of Highway 99 approximately half-way between San Francisco and Los Angeles. Our kettle size is 32'long x 7'wide x 9'deep. This is the widest kettle in the western United States. Various other "oversize" frames or assemblies can be successfully galvanized when the designer and galvanizer can coordinate the design parameters in advance of fabrication.